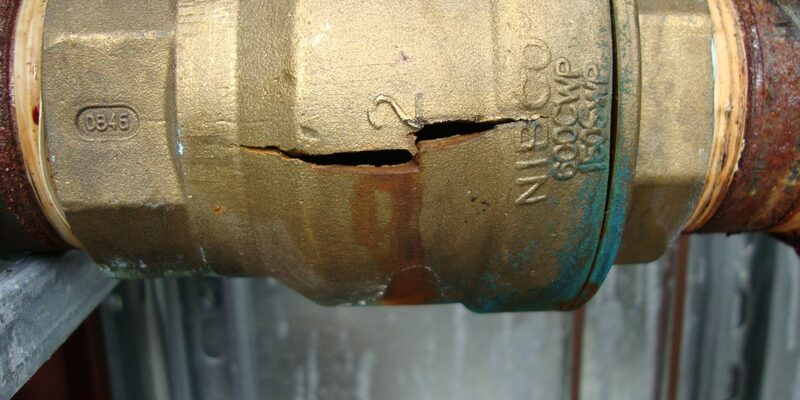 Summer is nearly over, now is the time to prevent pipe line freeze-ups! Frozen piping doesn’t only happen with water lines, there are many other substances and chemicals that are piped within a facility. Some pipes can cause shutdowns of production lines if the line freezes and breaks, creating hazardous conditions and in general wreak havoc! Are there pieces of insulation missing, or bare piping exposed? 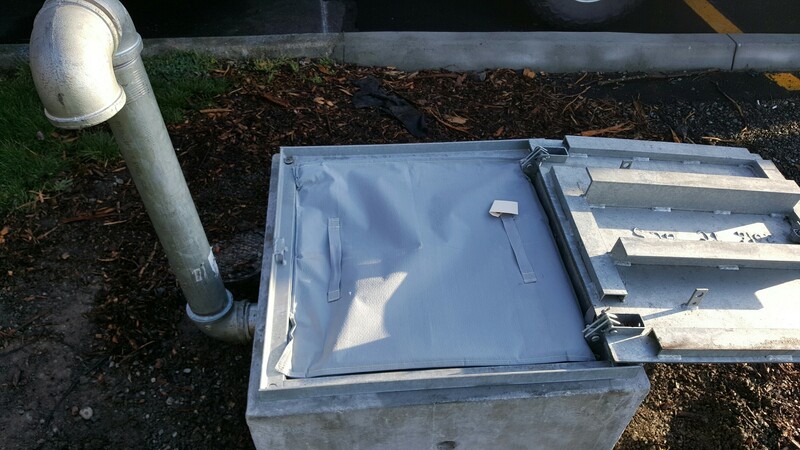 Do all of the components that require inspection or repair have removable insulation blankets or jackets? Are the insulation jackets in good condition? Are the insulation blankets placed on the component properly? Is the jacket assembled properly, with parting seam flaps and straps secured? Is the insulation the correct type for the application? Is the insulation thickness calculated correctly? If a heat trace cable is used it is imperative to ensure that the thermostat portion is working properly. Is the heat trace cable damaged at any point along the pipe? Are there electrical breakers that need to be checked and replaced? All of these tasks do not take much time early in the fall, and can save terrible headaches in the winter. Steam tracing of systems in chemical plants, petro-chemical plants and any industrial location that is using hazardous materials must be checked and maintained. 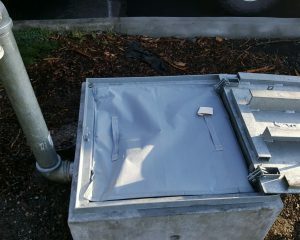 These types of systems are more involved than electrical heat trace cable and require more time and maintenance work. 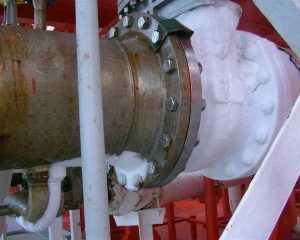 The steam manifolds will need to be checked for missing insulation, faulty valves, leaks and any other piping problem that can reduce the effectiveness of the steam trace. 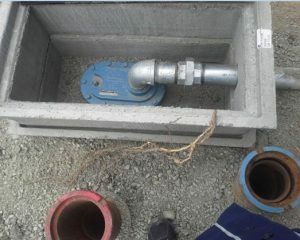 Steam traps are key in this type of application. 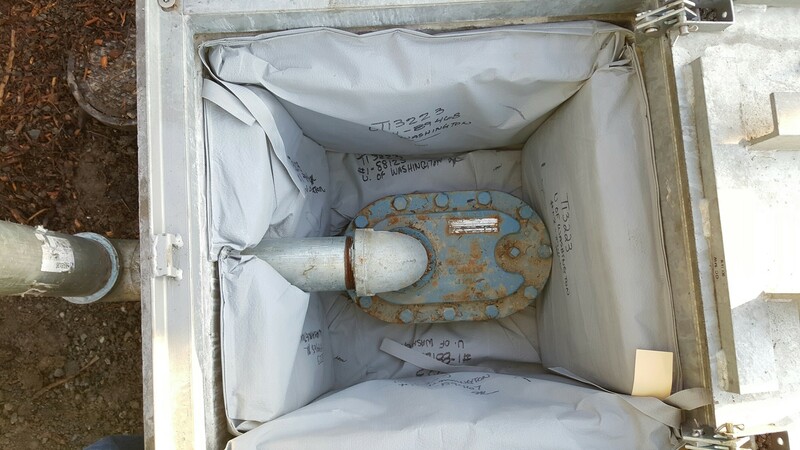 Have the steam traps been tested to make sure they are working properly. 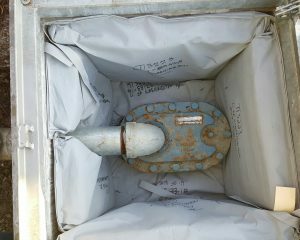 A steam trap in the failed closed position is going to cause a freeze up in the process line and the heat trace line. The heat trace line will fill up with condensate and eventually freeze if the steam trap is not working properly! 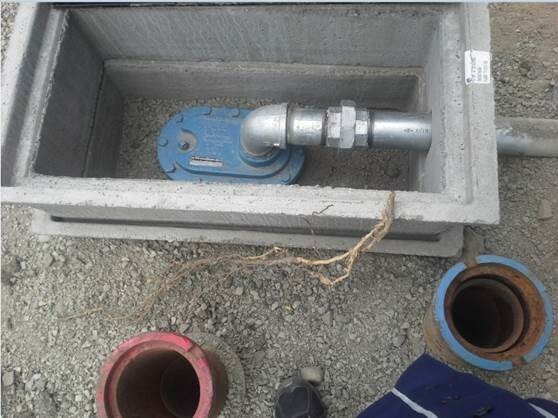 All control valves involved in the steam trace system must be checked to make certain they are working properly. Check for “cold” areas in the building, making sure the areas do not get below 40°F. 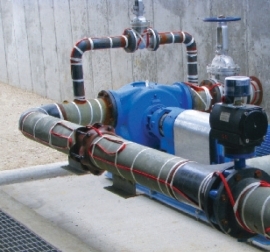 Cold areas include: attics, pipe chases, valve closets, spaces with fire pump houses, dry-pipe valves, wet-pipe sprinkler systems, process lines, water lines. A few hours now can save days of lost production, prevent down time, prevent hazardous conditions and possibly prevent the loss of a job! 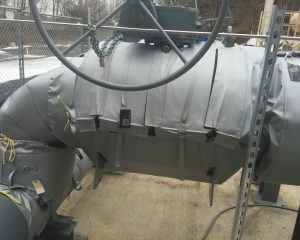 Many times, we have been asked by customers “Does your insulation blanket prevent pipes from freezing”? The answer to that is not a simple yes or no, several factors determine the answer. 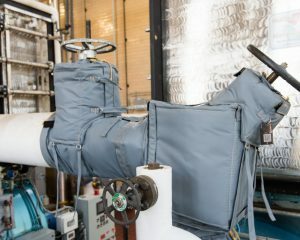 What does a removable, reusable insulation blanket do to prevent freezing? 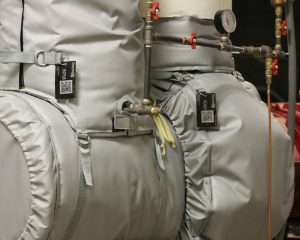 A Thermaxx insulation jacket is designed to drastically reduce the amount of BTU’s lost by the fluid in the piping to the ambient air. Physics demands that heat flows from higher concentration to lower concentration so at some point equilibrium is reached. If the ambient air temperature is at 32°F (fluid = water) or lower and there is no source of makeup BTU’s such as electric heat trace or steam heat trace the fluid in the pipe will freeze! It may sound silly but, the pipe could be insulated with 12” of insulation and the pipe will still freeze at some point, for our purposes it is impossible to stop the flow of heat from higher concentration to lower concentration. What does this mean? In a nutshell, makeup BTU’s must be available! If you have any questions about the type of insulation being used in an application or the proper thickness of the insulation, contact us! 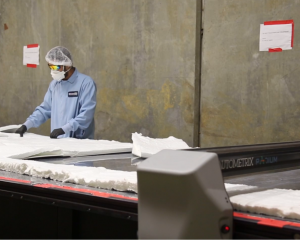 Thermaxx is the leader in Industry freeze protection related to removable, reusable insulation blanket applications. This entry was posted in Insulation, Machine Maintenance. Bookmark the permalink.